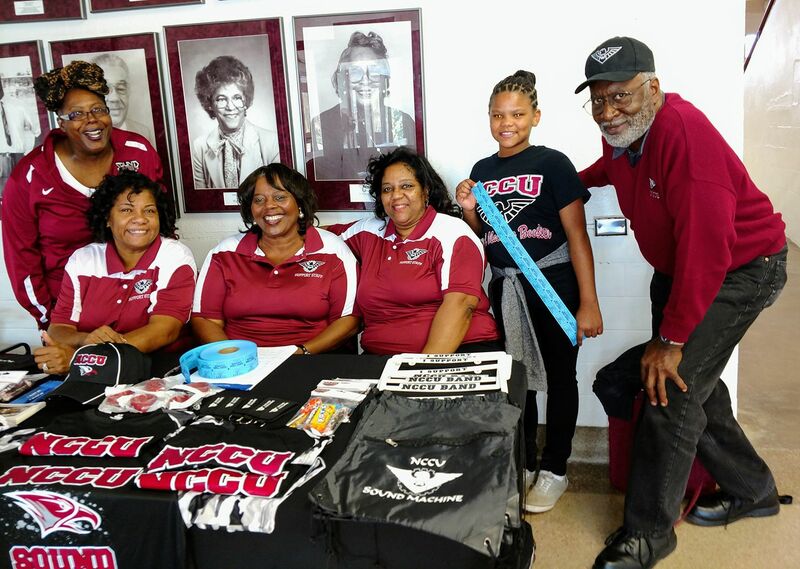 The Durham Chapter of the North Carolina Central University Sound Machine Booster Club extends an invitation to all NCCU alumni, fans and friends of the NCCU "Sound Machine" Division of Bands to become active members of our organization and help us Support The Band That Supports NCCU. The (SMBC) meets on every 2nd Wednesday of the month at 7:00 P.M., in room number 144 of the NCCU Alfonso Elder Student Union building, at 1801 Fayetteville Street, Durham, NC, unless otherwise announced or specified. We invite you to visit us or attend our events. Our members are more than happy to answer any questions you may have regarding the (SMBC) and how you can join and participate in our activities. Why Not Become One of Us! This website is best viewed via Edge, Chrome or Firefox browsers with Adobe flash. Thank You For Supporting The Band That Supports NCCU!